If you’re running a home-based business, you must follow German and military home-based business policies. U.S. registered vehicles, the Army Post Office, the exchange, commissary or tax relief program cannot be used for a business. Prospective entrepreneurs may also need permission from their garrison commander and German tax office for any commercial venture. There are several key points to keep in mind. U.S. Forces-plated vehicles are for personal use only. Using one as part of a business is illegal. “Examples of abuse would be if you used your USAREUR-plated van to deliver goods to customers, transport people for money or carry pottery from Poland for resale over the Internet,” said Bill Johnson, director of the U.S. Army Europe Customs Executive Agency. Business vehicles should be registered in the German system to be legal, he advised. Packages sent or received as part of a business must go through a commercial shipping company or the German postal service. The APO system is a privilege for personal use only, and using it to send or receive business wares is not allowed. Goods intended for resale must be declared to German Customs when brought into the country. “If you buy commercial items in other countries, you must stop at the border and tell German customs that your goods are for resale,” Johnson said. Goods sold at the exchange, AAFES catalog, and commissary are tax-free, so home-based business operators cannot buy anything at these facilities for their businesses. Using VAT forms to support a business is off-limits, as well. Customs, tax and postal regulations also need to be followed when selling things over the Internet in Germany. “People who occasionally sell personal property via the Internet are usually good to go,” Johnson said. However in most cases, customs clearance paperwork is needed when selling personal property to residents of Germany who are not U.S. military members, U.S. civilian employees or family members, he added. 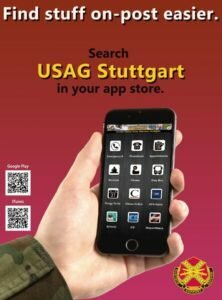 U.S. military personnel and civilian employees normally pay no taxes when they bring their personal property into Germany, which is why clearance and the payment of taxes is required. When selling goods over the Internet on a regular basis to make money, the same rules about using a U.S. registered vehicle, the APO,exchange, commissary or the tax relief program for a business applies. Those who don’t follow the rules risk receiving hefty fines and tax demands from German customs or tax authorities, and possible military administrative or civilian misconduct action. For more information, call the Stuttgart Law Center at 421-4152.